PowerColor first introduced their DEVIL series with the flagship DEVIL13 HD 7990 graphics card, which featured a dual slot – triple fan heatsink capable of cooling two fully enabled Tahiti XT graphics processors, 6GB of VRAM and a power delivery system capable of supplying 375W total board power. In addition, the DEVIL came with a sleek red and black color scheme and aesthetics that put most other cards on the market to shame. What came next though wasn’t more flagship products with the DEVIL design, but rather PowerColor decided to integrate the series into their mid-range graphics cards, giving gamers an affordable graphics card with the feel of a halo product. The latest graphics card to don the DEVIL design is based on the latest AMD “Volcanic Islands” graphics cards and utilizes the Pitcairn XT graphics processor – similar to the R9 270, but the GPU used on the 270x is rated to work at much higher clock speeds due to more power headroom. If you followed the AMD R9 270x launch you will have noticed that the reference designed AMD cards use a slimmed down version of the R9 290x heatsink, with a similar visual style. While these cards are nice, they are nowhere near as exciting as the custom designs that come after and luckily PowerColor didn’t make us wait long to ship out their custom design. While it didn’t come as fast to the market as the reference models, those of you who waited, will reap the benefits of the DEVIL design that features a triple fan heatsink that looks similar to the one used on the 7990 DEVIL, but in a more affordable package that is able to push 1080p monitors above 30FPS regardless of the game. Last week we looked at the AMD R9 270, which uses the 28nm “Pitcairn” silicon and includes 1280 shaders, 32 Raster units, 80 Texture Mapping units and a 2GB frame buffer that runs on a 256-bit bus. These specs aren’t too far off from what we are looking at today, but the R9 270x is capable of running at much higher clock speeds. This model alone comes out-of-the-box with a engine clock of 1150MHz (up to 1180MHz with boost) and the memory is rated at 1400MHz (5.6Gbps effective). On top of these the PowerColor model features a 7+1+1 digitally controlled power delivery system and a Platinum Power Kit that improves stability by 20% and offers 30% better power efficiency. 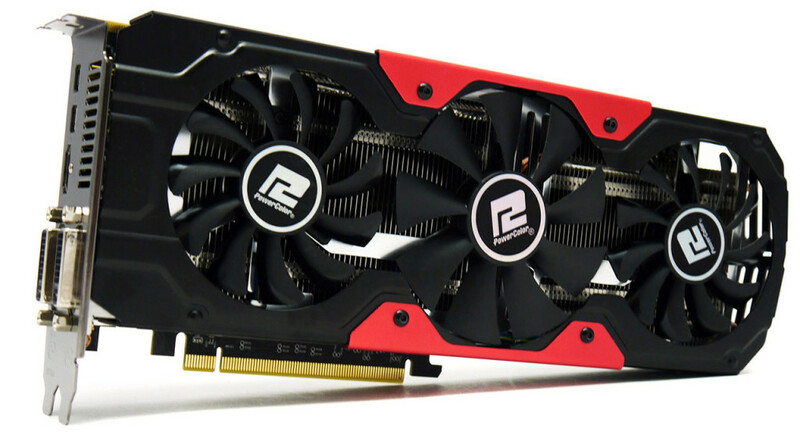 The PowerColor Radeon R9 270x retails for $219.99 – making it $20 more expensive than the standard R9 270x. However, you get the DEVIL heatsink/visuals, a gaming mouse pad and a custom 7 phase custom design that should allow it to overclock higher than your standard 270x.